This is one of my favourite quotes. It’s from Susan Scott who wrote “Fierce Conversations”. For me , this phrase just sums up the post-modern turn. Looking at theories of organisation, we could be forgiven for believing that organisational life is a nice neat, linear process. Lovely arrows, venn diagrams, flow charts and gant charts. Very, straight forward, a bit like the London tube map. I’m told that people like the simplicity of models, even though we know that, like the tube map, the reality is actually quite messy. Some say that ‘positivist’ or linear thinking, which has its roots in scientific/mathematical methodology, is on the wane. I’m not sure. I think it’s just gotten a bit more sophisticated. Hopefully change is in the air, with what some have delightfully called “the relational” turn. One such writer, David Boje used the example of a Play called Tamara to illustrate the complex relational nature of human interaction. 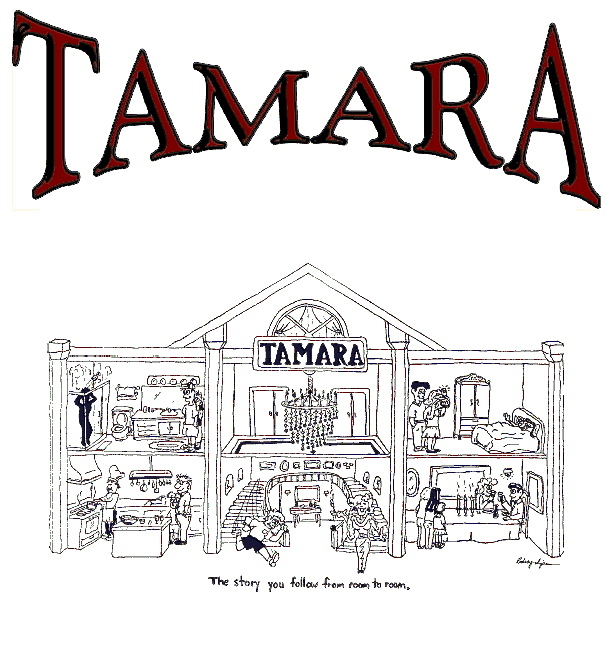 Tamara is Los Angeles’ longest-running play. It takes place in a huge set. Instead of remaining stationary, viewing a single stage, the audience fragments into small groups that chase characters from one room to the next, from one floor to the next, even going into bedrooms, kitchens and other chambers to chase and create the stories. Apparently, because there are a dozen stages and a dozen storytellers, the number of story lines an audience could trace as it chases the wandering discourses of Tamara is 12 factorial (479,001,600)! A relational approach to organisational theory moves us to consider that human communities are more like the Tamara play than a modern movie seen and told from a singular perspective. This approach challenges the modernist leader’s conception that there is a single unified coherent story that links organisational members together (hence, the obsession with writing and communicating a vision statement). Rather, organisations are more like the audience and members in Tamara, wandering about, chasing different stories, exploring different plots for making sense of their unfolding experience, socially creating their realities and preoccupations. In this way, organisations are naturally fragmented, complex and polyphonic (many voiced). If we accept the notion that organisations are more Tamara-like, than machines, we will do well to move from scientific/mechanistic theories of leadership and organising to ones based on the study of humanity and relationships, eg family therapy! In this relational paradigm the role of leader is reframed as one who coordinates multiple voices and stories in ways that can help co-create coherence and collaboration in complex human systems. To take the Body metaphor in Corinthians seriously, leaders will need to develop skills for noticing patterns of relationships amongst people and be able to innovate ways of ‘going on’ by coordinating the connections between its many parts. They also need to develop ‘reflexivity’ ie, the ability to make sense of how their own behaviour, thoughts, actions and vocabulary shapes their social world. If you want to hear more about reflexivity, I will dedicate the next blog to it, please let me know in the reply section. Relational practice sounds warm and cuddly but it isn’t. It involves learning how to deal with humanity in all its complexity… emotions, compassion, love, hate, competition, conflict, politics, greed, selfishness, power, etc, etc.